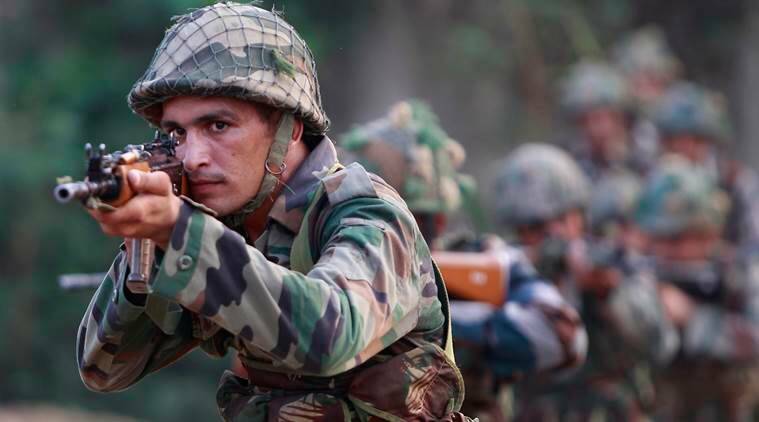 The infiltration bid came barely a few hours after Pakistani Rangers resorted to firing along the international border in Samba and Hiranagar sectors on Wednesday evening. A Pakistani intruder was killed as Border Security Force (BSF) personnel foiled a major infiltration attempt from across the international border in Arnia sector during wee hours of Thursday. The infiltration bid came barely a few hours after Pakistani Rangers resorted to firing along the international border in Samba and Hiranagar sectors on Wednesday evening. A BSF head constable R P Hazra was killed at a forward post in Rajbagh area in the fire from across the border. Giving details, sources said that BSF personnel noticed movement of a group of 4-5 terrorists near the barbed wire fence under the cover of thick fog in the area. The BSF personnel opened fire killing one of them, while others managed to flee back to Pakistan side. Meanwhile, Pakistan’s Inter-Service Public Relations, in a statement, claimed the Indian Army targetted Pakistani civilians and, in retaliation, Pakistani troops killed an Indian soldier and neutralised a post. “Indian Army committed unprovoked ceasefire violation along working boundary in Zafarwal sector. Targetted innocent civilians. Three injured. Response targetted Indian post. One Indian soldier killed two injured. Post neutralised,” it said.